After many years of coaching in Iran, Shahrzad Mozaffar, the former Head coach of Iran’s National Women Futsal team has signed a contract to coach Kuwaiti women’s national futsal team. Mozaffar, who steered Iran’s futsal team to the Asian title this year , agreed terms with the Kuwaiti Football Federation,. The news was confirmed by the Kuwait News Agency . 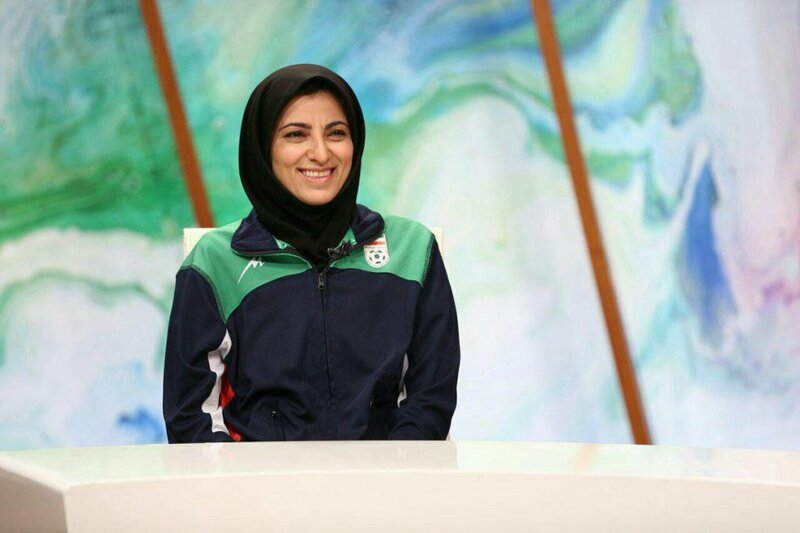 Fatemeh Hayat, the chairman of the Kuwaiti women’s soccer committee, said she was impressed by Shahrzad Mozaffar because of the great ability of this Iranian female trainer and Shahrzad’s greater achievement when she won the AFC Women’s Futsal Championship last May. 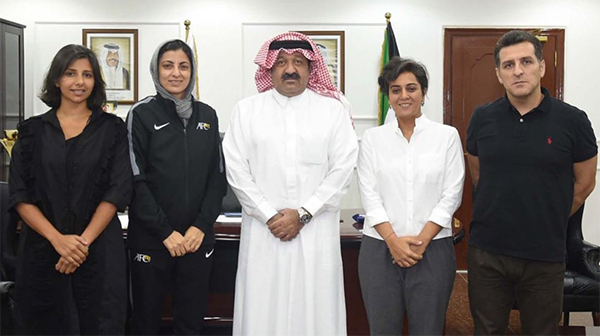 Hayat, the first female member of the Kuwait Football Association, has drawn an ambitious plan to improve female football and futsal in the country . Appointing a coach such as Shahrzad Mozaffar with a winning track record is one such step towards the development of female sport. Kuwait, once a leading power in Asian football , has suffered a long term suspension from football activities due to the government interference. KFA has been suspended since 16 October 2015. FIFA has recently lifted the sanctions allowing Kuwaiti teams to resume international football activities including participation in FIFA and AFC championships.. The contract signing ceremony was attended by the head of Kuwaiti Football Federation’s of Sheikh Ahmed Al Yousif. Iranian coach Shahrzad Mozaffar has been selected by the Kuwaiti Football Federation to coach the country's futsal team. The Iranian coach has been selected due to her high ability: she could make Iran the champion in the AFC Women's Futsal Championship in May, said the head of women's futsal of Kuwait Fatma Hayat. Mozaffar is the most prominent Iranian women futsal coach. She is the instructor of FIFA and Asian confederation in football and futsal.